Viruses exist in massive numbers on Earth, and they date back to the very beginnings of life. More viruses exist on our planet than any other cellular organism—upwards of about 10 to 100 times more—so it’s a reasonable bet that viruses exist on other worlds. Yet scientists know surprisingly little about these “bags of genes” and how they work, with even less attention paid to the possibility of viruses existing elsewhere in the solar system and beyond. Problematically, NASA’s 2015 Astrobiology Strategy makes scarce mention of viruses, focusing primarily on the search for fully cellular alien microorganisms. A new paper, now published in the science journal Astrobiology and led by Portland State University scientist Kenneth Stedman, argues that this is a missed opportunity, and that astrobiologists should explore the possibility that viruses exist en masse throughout the universe. To that end, Stedman proposes the field of “astrovirology,” and asks that scientists start developing strategies and tools required to detect viruses off-planet. 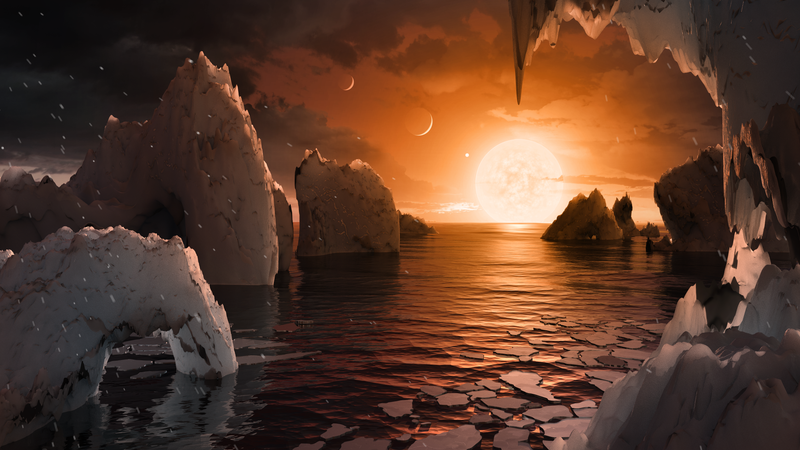 He said his proposal isn’t about subdividing the field of astrobiology even further, but more of an attempt to integrate viruses into “mainstream” astrobiology. Many of you are probably wondering how viruses are distinguished from other forms of microbial life, and why there’s even a need to distinguish between the two. Scientists struggle with this very question. Stedman should know a thing or two about viruses and the kinds of conditions they need to replicate. Back in 2012, he discovered a completely new group of viruses capable of living in acidic hot lakes (basically boiling acid)—a discovery that demonstrated the extreme conditions under which viruses can evolve, live, and even thrive. In this case, the new viral genome emerged after the combination of DNA and RNA from two apparently unrelated virus groups. So in addition to living in the harshest of environments, viruses can also find ways to continually adapt. Consequently, Stedman thinks they’re likely involved in some major evolutionary transitions on Earth. So the idea that viruses are strewn across the cosmos isn’t a completely outlandish idea. Sure, they’re likely to be different than the ones found on Earth, but they’d be viruses nonetheless. To further the case for astrovirology, Stedman is asking NASA and other space agencies to look for viruses in liquid samples taken from planets and moons in our Solar System (good bets include Enceladus and Europa), develop tools to find viruses in ancient deposits on Earth and Mars, and to figure out if viruses could survive in space. “We need to further develop current tools, either put [an electron microscope] on a spacecraft or develop other microscopic technologies that can detect molecules, not just atoms at nanometer resolution,” he said. Should we discover viruses living elsewhere in the Solar System, Stedman said there’s no reason to panic, and that viruses will likely be the first sign of life that NASA will likely find on other planets and moons.